Full bodied and earthy, there is a lot going on in this slightly rustic Volnay. Pretty nose with rose petals, currants, and earth. The palate is ultra fresh with cherries, black tea , lilacs and minerals. Pair with lamb, beef, truffle dishes. Nicolas Rossignol is the 5th generation of his family to run this Burgundy estate. He studied at the Lycee Viticole in Beaune, and interned locally with Domaine Jospeh Voillot and Domaine de Vieux Telegraphe in Chateauneuf-de-Pape. He then returned home to his estate, Rossignol Jenniard. Because he wanted to learn different vinification techniques he continued his studies with Domaine Buschendal in South Africa and Chateau La Cardonne in Bordeaux. Two years later he launched his own domaine, starting with three hectares. 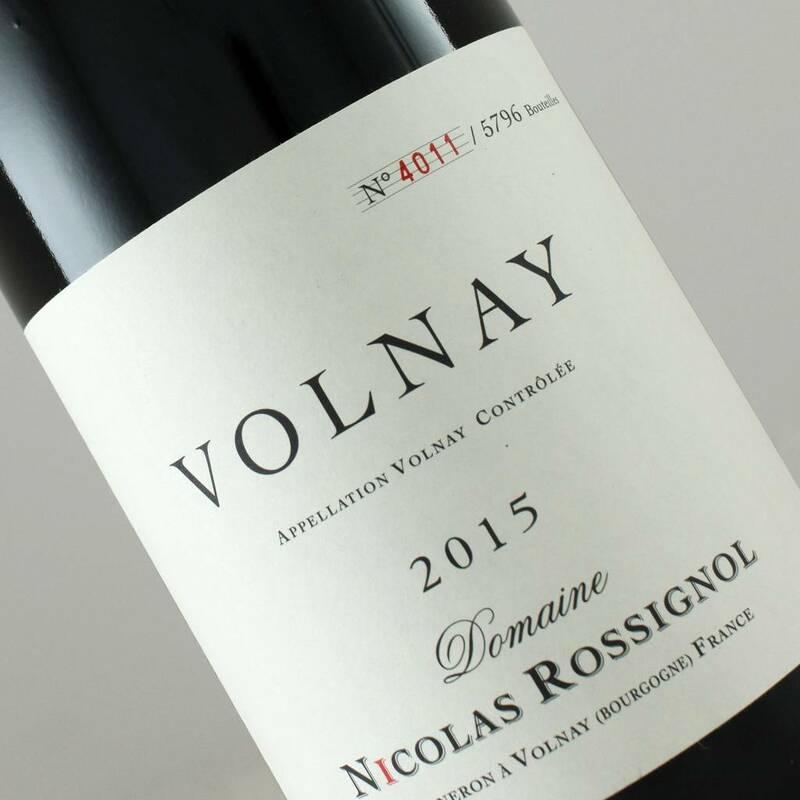 He created a negociant label to unify the domaines and both are sold under Domaine Nicolas Rossignol. Volnay has been stereotyped as lacy and ethereal, with neighboring Pommard chewy, austere and extracted - in fact, everything depends on the terroir.